Track data usage by individual devices! 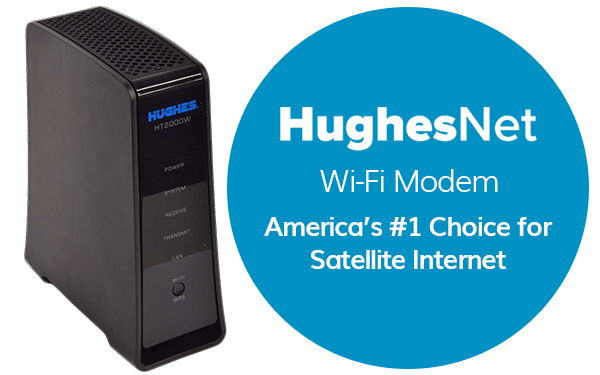 Every HughesNet Gen5 plan now comes with a modem that has built-in Wi-Fi, so you can easily connect all of your wireless devices and don’t have to deal with multiple pieces of equipment cluttering your home! Take full advantage of HughesNet’s high speed service and connect devices such as tablets, laptops, smart TVs, cell phones, and more! Your days of wrestling with difficult wireless Internet routers are over! 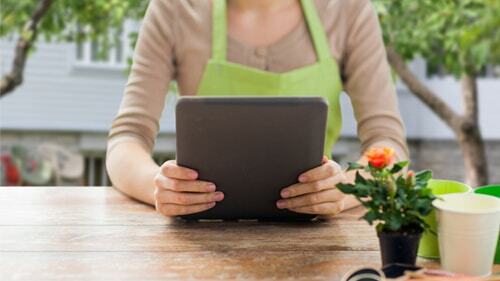 Get Wi-Fi With These Great Internet Plans! Connect all of your wireless devices with the HughesNet Wi-Fi Modem. With the HughesNet Wi-Fi Modem your connectivity can be supported at all times! Not only does every HughesNet plan have a Wi-Fi enabled modem, but it also will be installed by the pros! Your modem will be fully set up by a certified installer, and during their visit they will connect up to two devices on your new network for you. After installation, your HughesNet HT2000W Wi-Fi Modem will be backed by long-trusted customer support, with a strong track record of reliability and unsurpassed service. Built to be perfectly optimized with the HughesNet service, your connectivity can be supported at all times! Watch 3x more video with HughesNet.